The third Fife Business Week attracted huge support from businesses and partner organisations. Chris Parr, chairman of the Fife Economy Partnership which hosted the Week, has thanked and congratulated all the organisations involved and said that it is now an established date on the business calendar. Messages of thanks for events have come in to organisers too. At the Fife Tourism Open Day a number of tourism businesses discussed with potential joint business ventures. 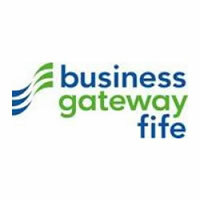 Fife Chamber of Commerce and Business Gateway Fife hosted an event on secrets of success which attracted more than 50 guests to hear about the value of investing in customer service. Throughout the week, there were events on business skills, networking, business property, lean management and marketing.